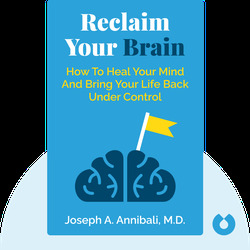 Reclaim Your Brain by Joseph A. Annibali, M.D. 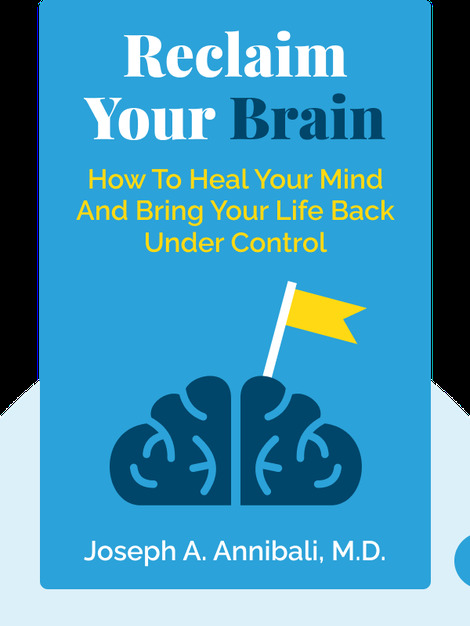 By Joseph A. Annibali, M.D. Reclaim Your Brain (2015) is about how imbalances and quirks in the human brain can lead to serious problems such as anxiety, depression or addiction. These blinks explain the biological roots of these problems and what you can do to overcome them to get your brain back in check! Joseph A. Annibali is the chief psychiatrist at Amen Clinics, located outside Washington, D.C. Annibali is also a leading expert in the use of single-photon emission computerized tomography (SPECT) brain imaging in treating neuropsychiatric problems associated with Lyme disease.